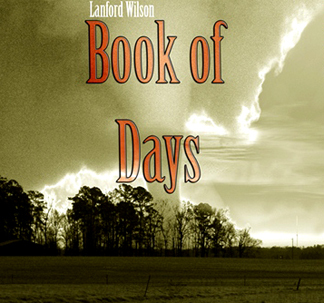 Bad Habit Productions, dubbed one of Boston’s Top Small Theaters by WBZ, will presents "Book of Days" by Pulitzer Prize winner Lanford Wilson, from March 31 - April 10 at Durrell Theatre in the Cambridge YMCA, located at 820 Massachusetts Avenue. Brett Marks will direct the production. This dark comedy mystery takes place in the fictional town of Dublin, Missouri, consisting of a cheese factory, fundamentalist churches and a community theater. When a tornado hits the town and the owner of the cheese factory goes missing, Ruth, his bookkeeper and star of the community theater in town, is determined to discover the truth. "Book of Days" gives a day by day account of how a little town can quickly lose its innocence. The cast includes Anna Waldron, Joe Ruscio, Emily Culver, Casey Preston, Scarlett Redmond, Chuck Schwager, Liz Robbins, Kara Manson, James Bocock, David Lutheran, Stephen Radochia, and Harry McEnerny. For tickets and information, visit www.badhabitproductions.org. There will be one “pay what you can” performance on Thursday, April 7, at 8 p.m.